Download Hour1 Download Hour2 Continuing our series on political repression in America with a look at two historical examples: one from the recent past and another from the early part of the 20th century: the cases of Judi Bari and Darryl Cherney of Earth First! 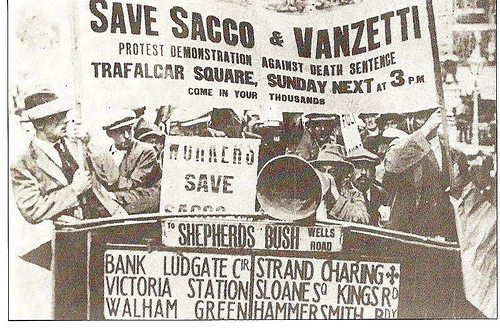 and the framing and execution of anarchist labor activists Nicola Sacco and Bartolomeo Vanzetti in the 1920's. This page was last modified on 19 September 2016, at 00:31.